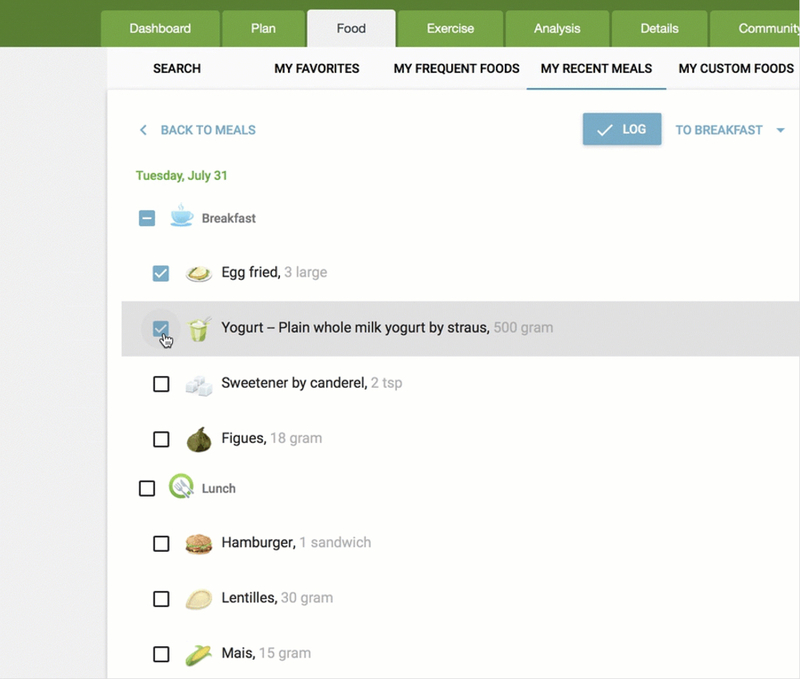 The Meals Log allows you to record and analyse your food intake. 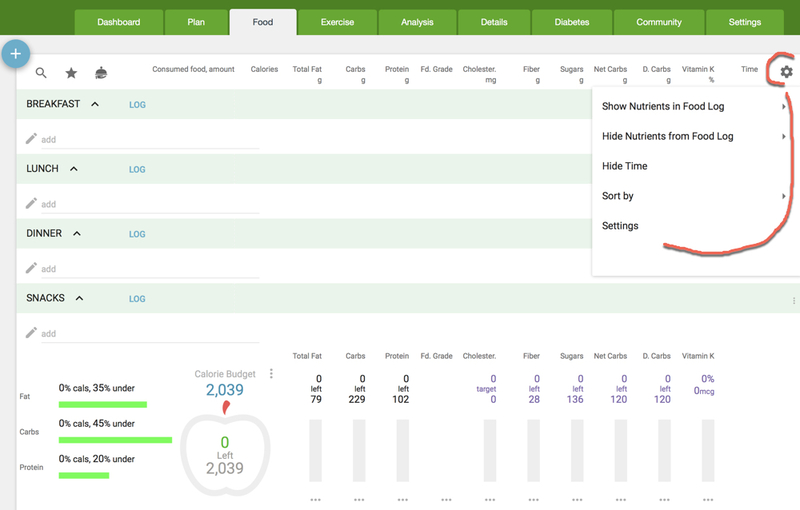 It uses your Calories & Weight Plan along with Nutrient Targets to provide immediate analysis. Tap anywhere for details and insights, you will be delighted. Click three dots ⋮ buttons to get to the details and customize this screen. Use keyboard or mouse, search and log in place. 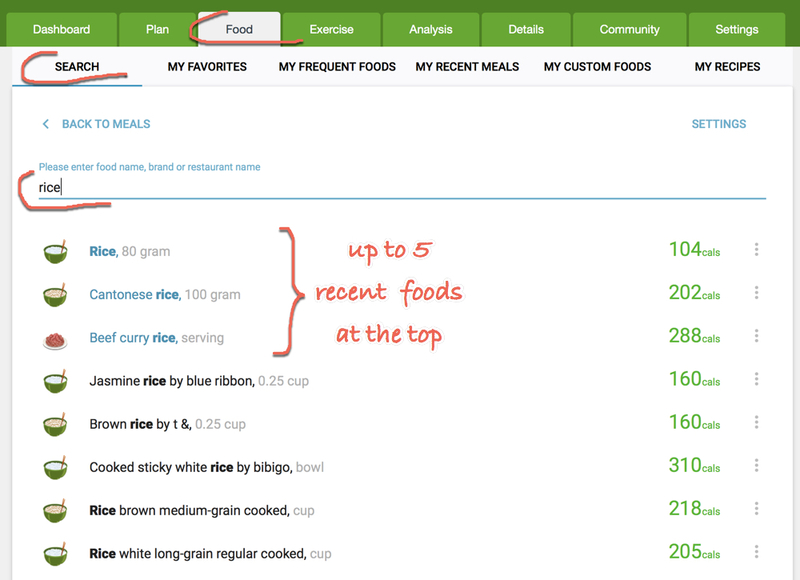 Be sure to read on Finding Foods - the most important MyNetDiary skill. 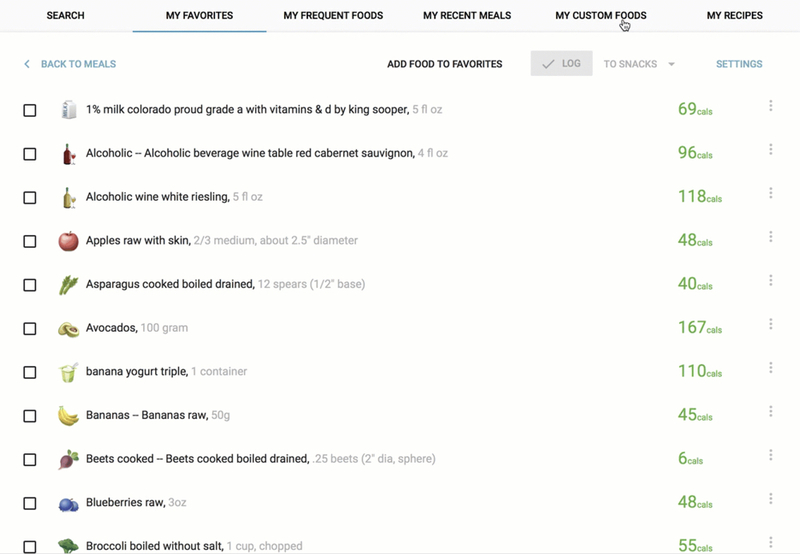 Find more foods, check food grade and nutrients, add entry details like meal and time. Create Custom food when you do not find your food in the catalog. 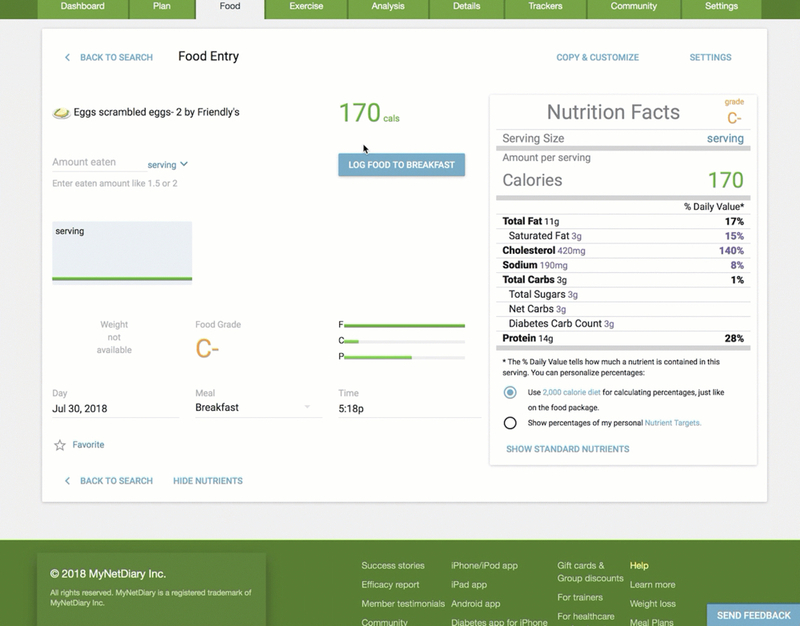 You can also create a Recipe, which can have cooking instructions or can simply list ingredients of your favorite food like salad, bagel & cheese etc. Relate your actual food and exercise calories to your Weight Loss Plan. Check distribution of calories among macronutrients. 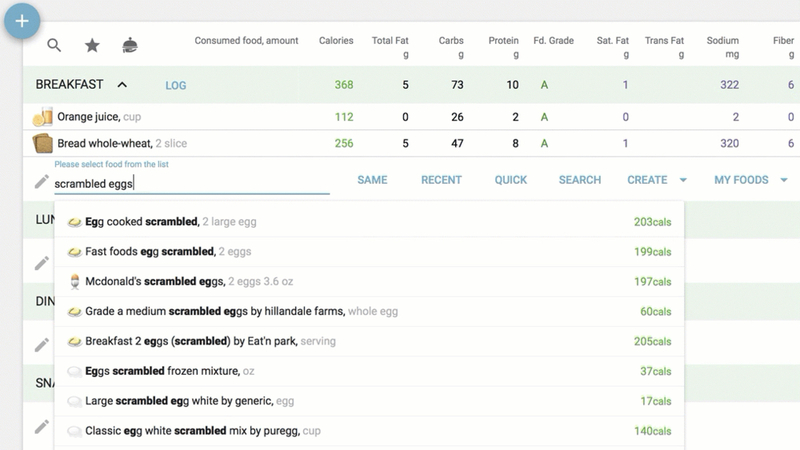 Analyse consumed nutrients using your personal Nutrient Targets. 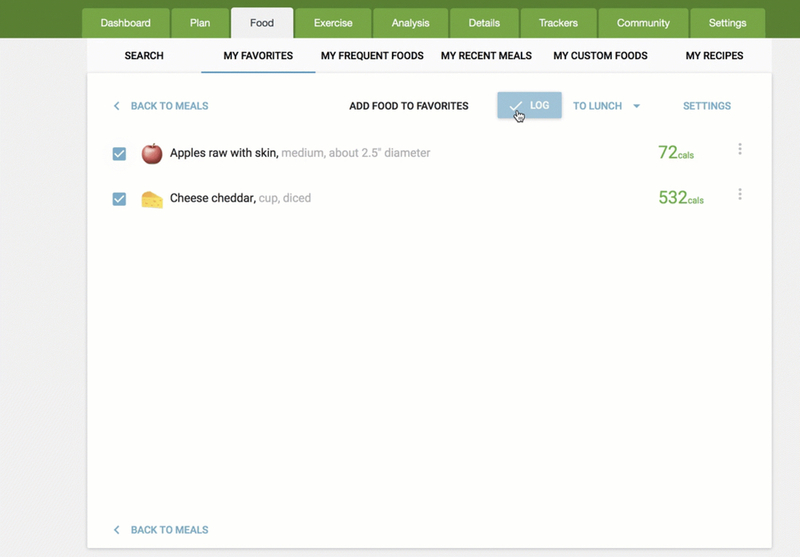 Find "champion" meals and individual foods - the largest contributors of calories and nutrients. 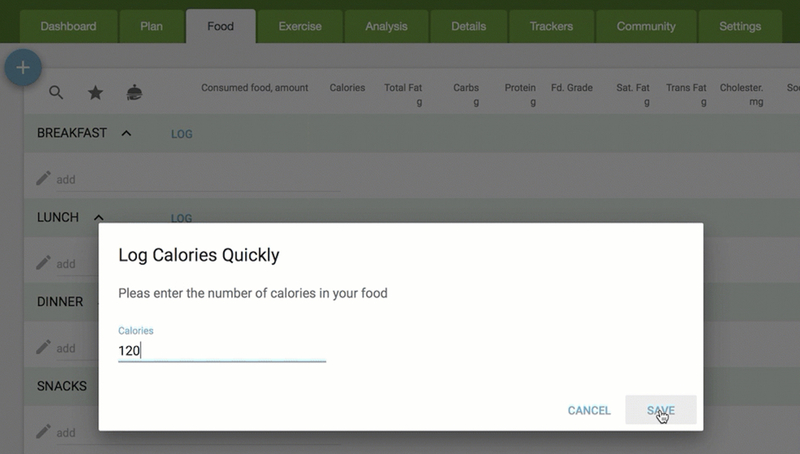 You can simply log calories without finding a food. 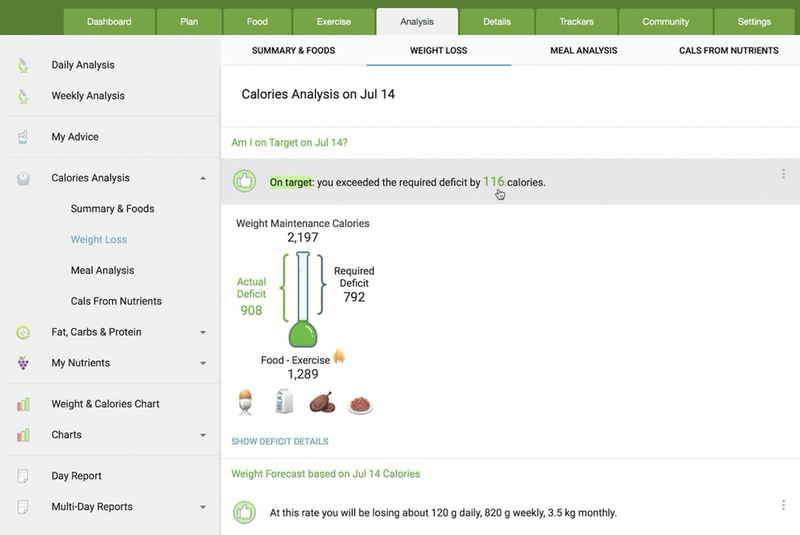 Many people lose weight by planning and tracking calories only. 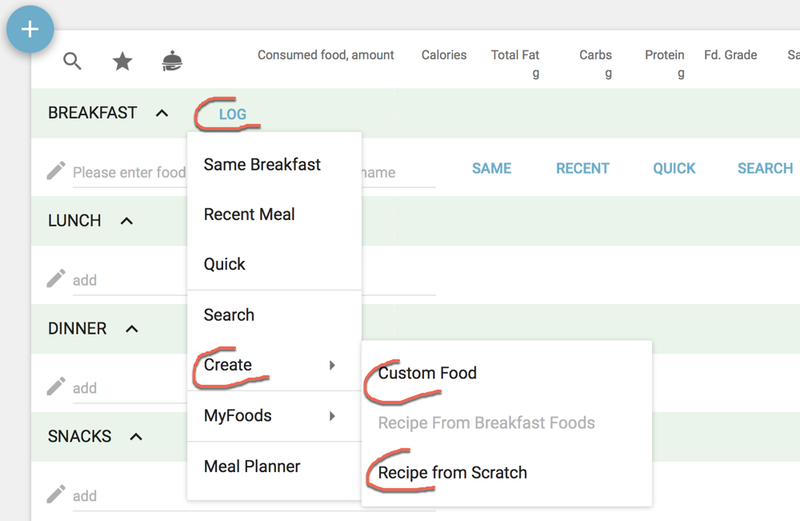 Please be advised that logging Quick Calories disables nutrient planning and analysis required for a healthy diet. 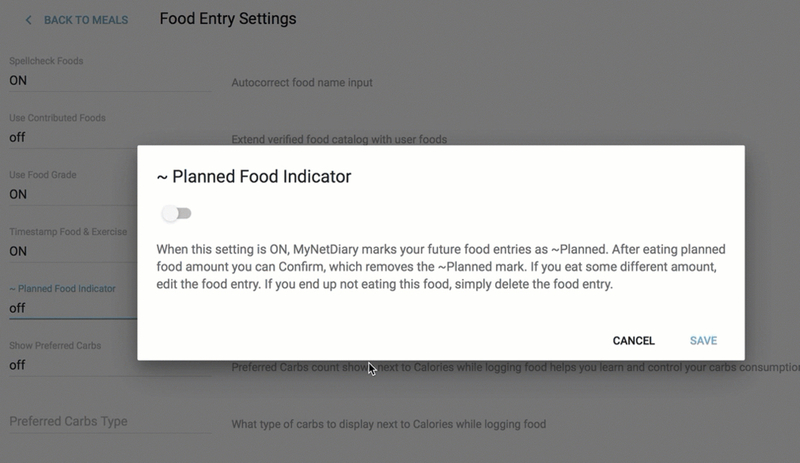 Work with individual entry or select several meal entries to move, copy or delete. The easiest way to delete a food entry is to move the mouse cursor over the food icon, then click "delete" button displayed above the food icon. 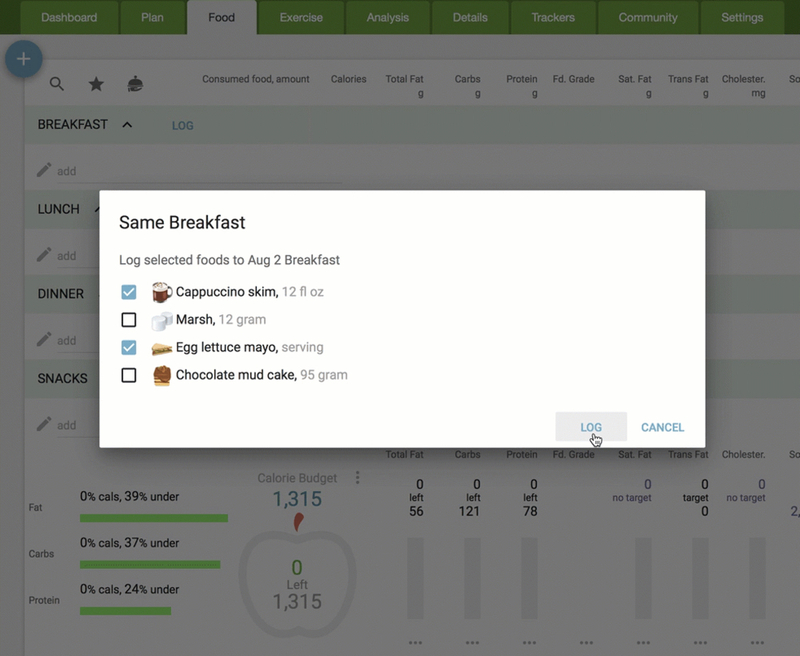 Click on gear button at the top-right corner to customize your meal log. 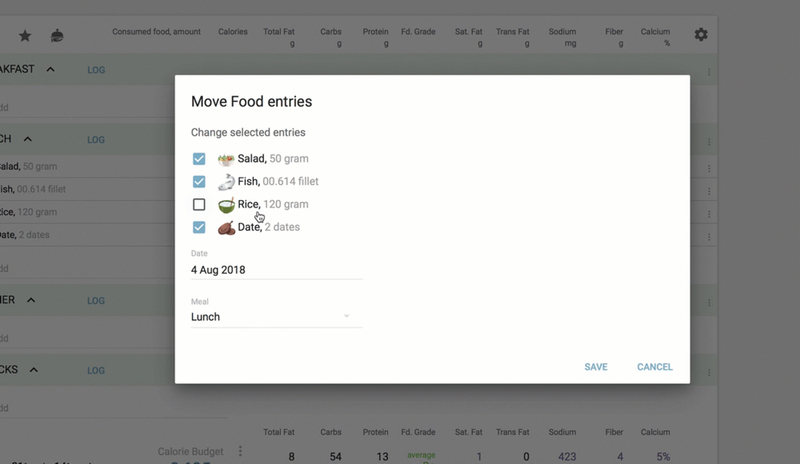 Choose the nutrients you want to see, track time, change sorting (you can also click column headers to sort) and see all settings related to food logging. Click on gear button at the top-right corner, select Settings, turn ~ Planned Food Indicator ON. Log future foods with ~ planned indicator. After eating the food click on ~ planned indicator to confirm eating as planned. 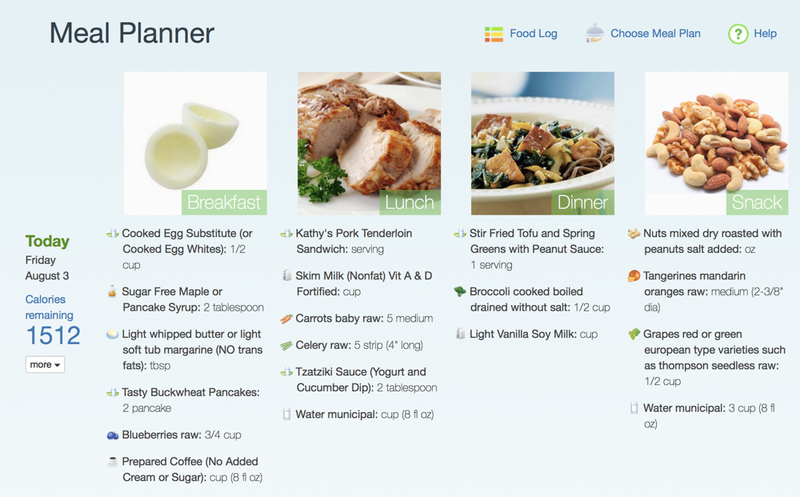 Meal Planner provides you with ideas on a healthy, well-balanced menu designed by our Registered Dietitian. See also Meal Planner User Guide.